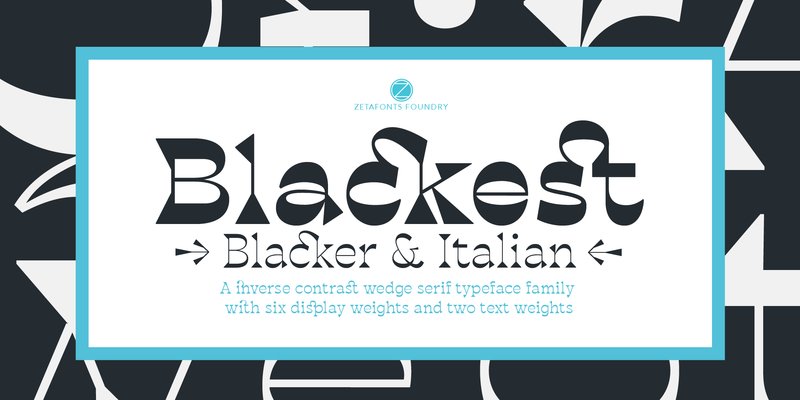 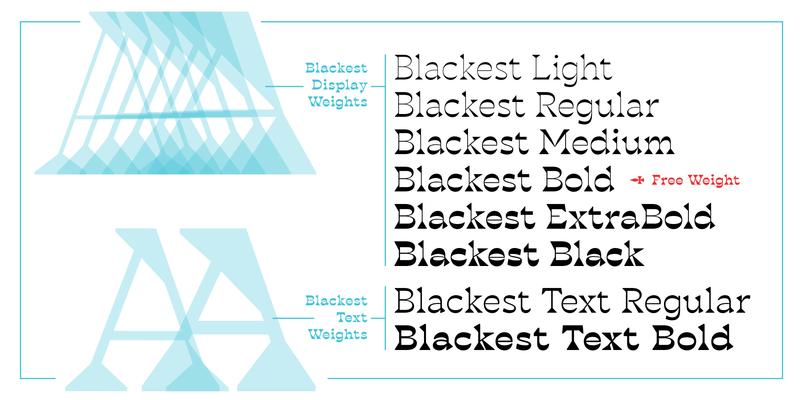 Blackest is an inverse contrast wedge serif typeface family, designed by Francesco Canovaro and Andrea Tartarelli as a development of the Blacker typeface designed by Cosimo Lorenzo Pancini. 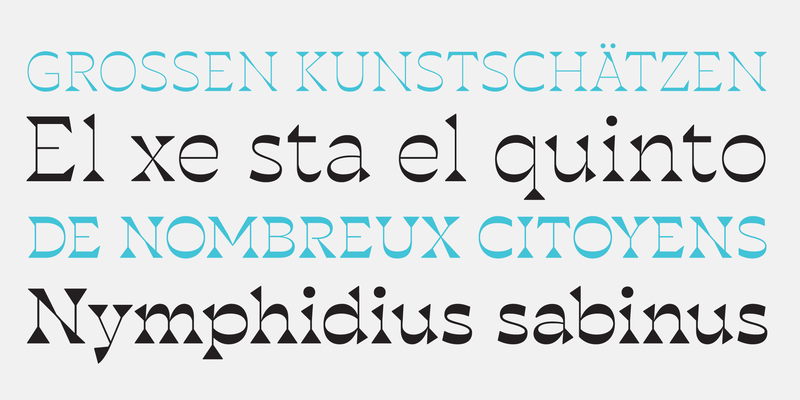 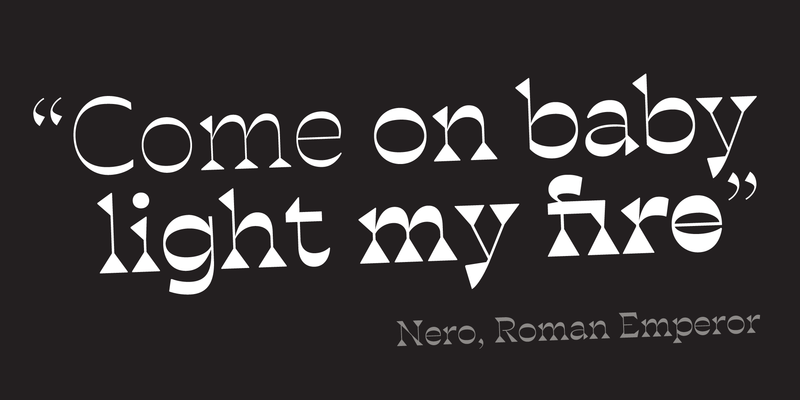 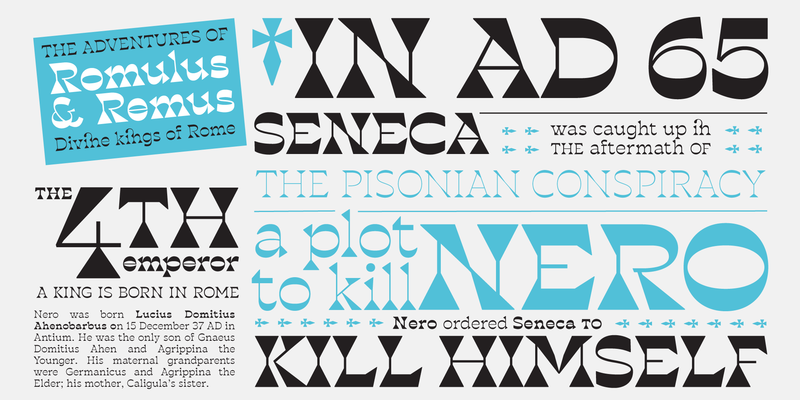 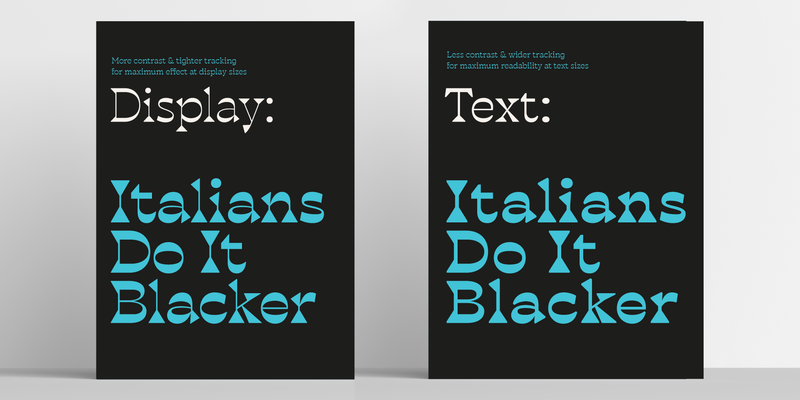 The classical skeleton and sharp edges of the original have been kept while bringing the contrast of the typeface in the realm of the so called "italian" or reverse-contrast typefaces. 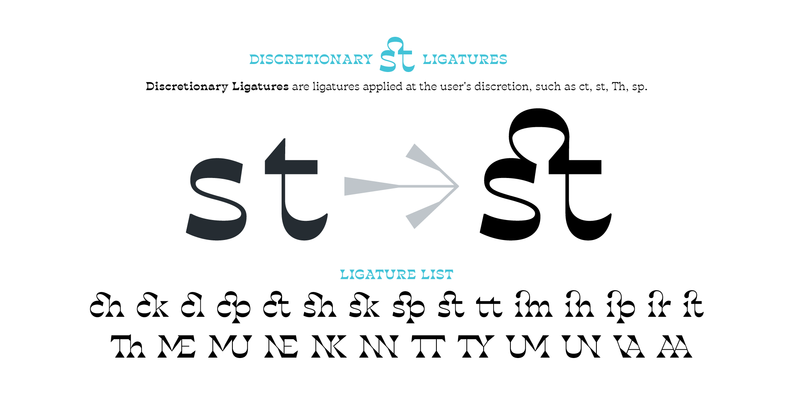 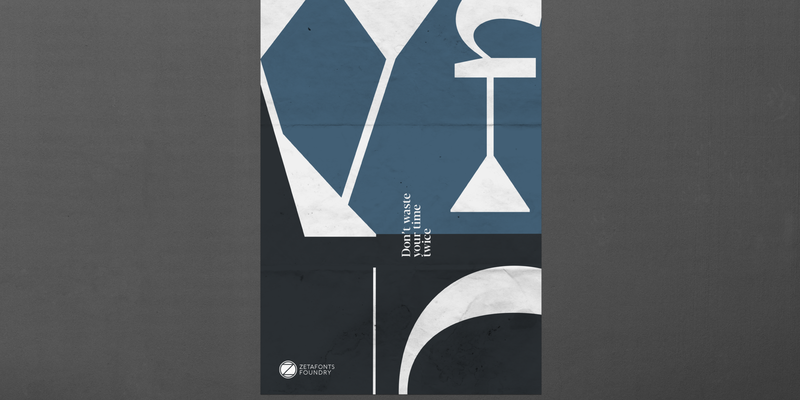 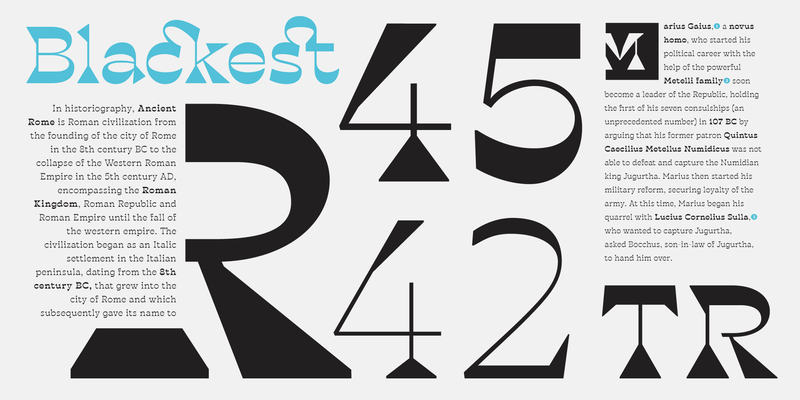 The result is a typeface family that manages to be quirky but classical, and playful without losing elegance. 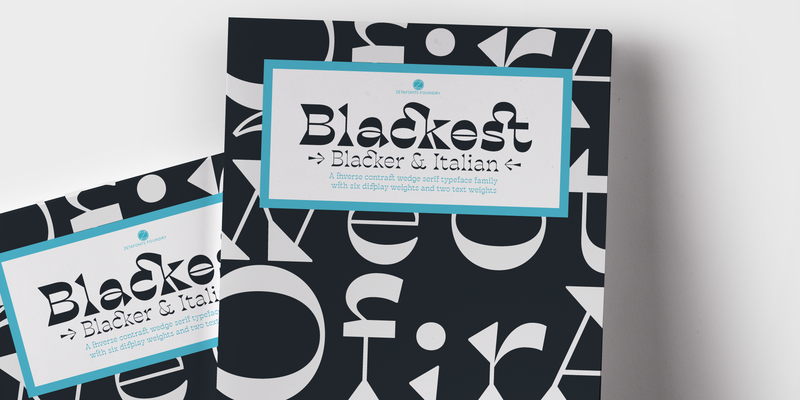 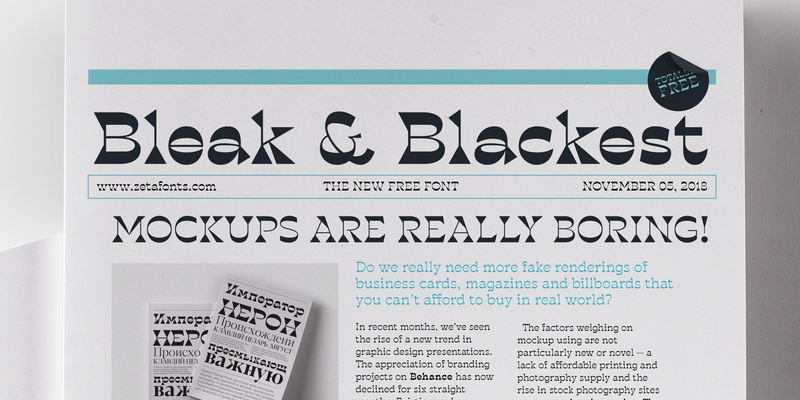 With its exuberance and six weights of eye-catching proportions, Blackest is perfect for display use: editorial & magazine design, poster design and logo development - but to allow its usage as a for typesetting of longer texts a text variant in two weights has been developed, with less contrast, looser spacing, and high readability. 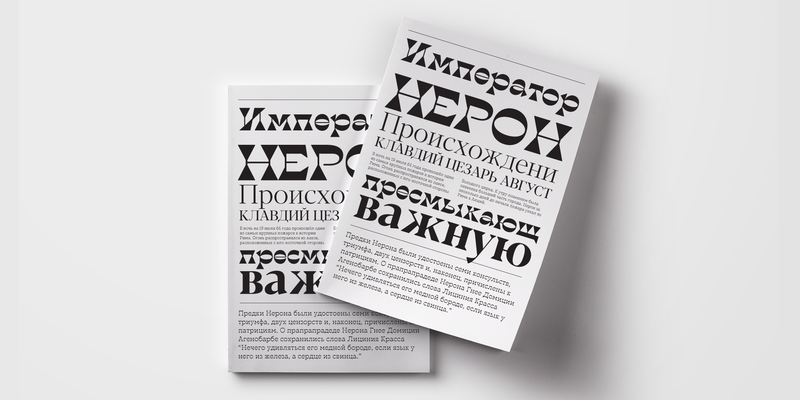 Blackest features an extended character set that covers over 220 languages using the Latin alphabet, as well as Russian Cyrillic. 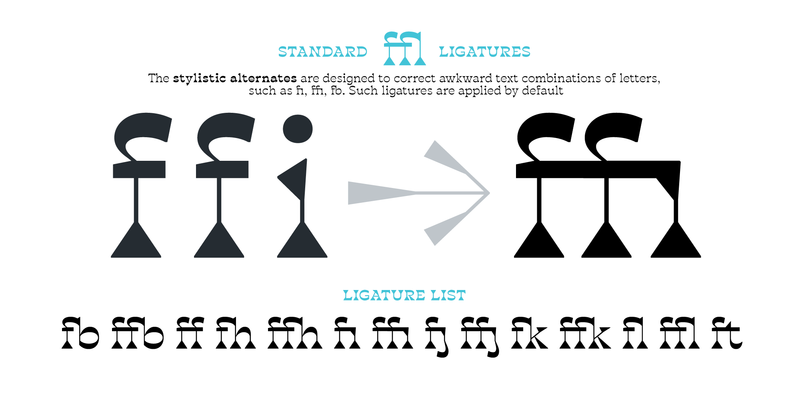 Open type features include small caps, positional figures, alternate letter forms, stylistic sets, arrows and extra punctuation and discretionary ligatures.